If you’re overwhelmed by the amount of tools out there, or just don’t know where to start, there a some very impactful, fundamental tools you can use to ‘beef up’ your online store potential and eCommerce growth. When configuring your eCommerce ‘tool belt’, it makes it easier to categorize your needs before diving into your options. Aside from the actual software you used to build and manage your eCommerce website, the basic tool categories are those that help with research, analytics, operations and marketing. This article is going to outline some tried and true marketing tools you should consider as part of your overall strategy. You’ve got an online store and you want to generate more business by targeting either your previous buyers, loyal customers, current prospects, or new prospects you have yet to capture. 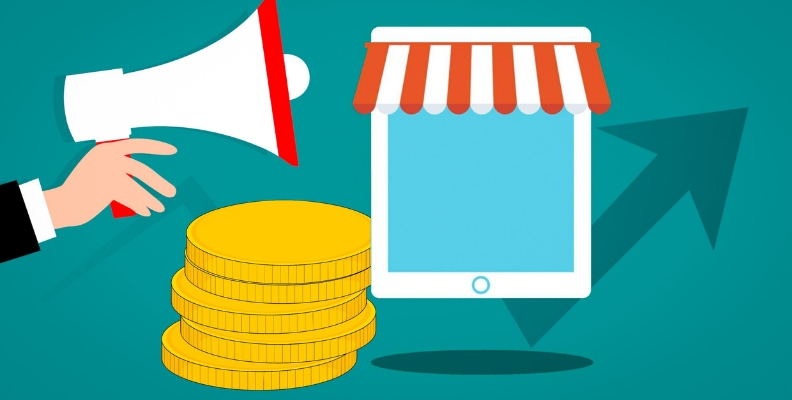 All of those can be addressed by incorporating additional tools into your eCommerce business to help you get the most out of your investment in your online store. This email marketing tool is built specifically for eCommerce growth if you don't already have a system like Hubspot. With deep integrations with major eCommerce platforms, Klaviyo pipes in top-level customer shopping data and makes it actionable. Segment your contact list based on their shopping and purchase behavior, demographic properties, and even their engagement with your site or previous email campaigns. Use that information to personalize your communications with each custom audience, enabling a smart marketing message and a smart way to grow your revenue. Think of your online store as a more interactive and personalized brick and mortar store. Just like you would lay out your merchandising with similar, complimentary and add-on items, you can do the same with your eCommerce by using Bold Upsell. In doing so, you can communicate additional products to relevant customers who otherwise might not know you had them, increase your average order value, improve the customer experience, and generate more sales overall for both new products and those that aren’t getting the right exposure. You can view all the features and a video overview of the product on their website. If you use Instagram for your eCommerce business, Linkin.bio is a great tool that does more than just add a link in your bio. Schedule posts with links, share multiple links, analytics features that help you track ROI from your Instagram account and each individual post, and more. For anyone who is or wants to begin utilizing Instagram as a revenue driver, this tool is a must. Yotpo is a robust tool that offers four main categories of support - reviews and ratings, visual marketing, loyalty and referrals, and consumer insights. Collect reviews and ratings using Yotpo’s on-site ratings widget, customizable rating questionnaires to collect customer images and the information you need, artificially intelligent review request emails, and promotional offer review incentives. All of which will help you gain relevant customer feedback, increase the reputability of your brand and your products, and increase the customer experience. In addition to product reviews, there’s also a tool that incorporates a ‘Community Q&A’ feature on your product pages allowing customers to ask questions that can be answered by your team and past buyers to decrease shopper hesitation and easily add another frictionless engagement point with your audience. Yotpo helps you incorporate your User Generated Content (UGC) into multiple areas of your website to convert browsers into buyers and create a ‘community’ of your buyers and fans. Add shoppable UGC to your homepage, category, product and checkout pages that build trust and another up-selling component to increase average order values. This feature is HUGE so I won’t go into great detail, but if you ever wanted generate a loyalty rewards program, generate loyalty campaigns, and increase the amount of referrals you’re getting, then this is a great option. It comes with a lot of easy to implement, campaign templates and multiple features to make you successful quickly. With all the additional information and activity you’re going to gain from the rest of this tools features, this one allows you to easily analyze all of those customer insights to make better business decisions to generate even more business and raving fans of your brand. Explore which products your customers resonate with most, compare your results against industry benchmarks and see where your business stacks up. Unific is an excellent integration tool that is used to connect your eCommerce software, or 'shopping cart', with your email marketing platforms. It doesn't cover a ton of eCommerce software or email marketing softwares, but it covers the main players and offers an in depth and reliable integration that doesn't constrain your abilities like many other solutions do. If you happen to be using any of the systems it's compatible with or are considering some, definitely take into account this system as an additional benefit. iZooto is fairly simple. Set it up, and with approval from your customers you can send push notifications to them on multiple devices. Because of its simplicity and positioning, you must be intelligent about when, what and to whom you communicate. If used correctly, you can have instant, top of mind access to your consumers and dramatically increase your conversions. Used incorrectly, you can quickly impact your reputation and consumer experience in a negative way by blasting them with too-frequent, irrelevant messaging. 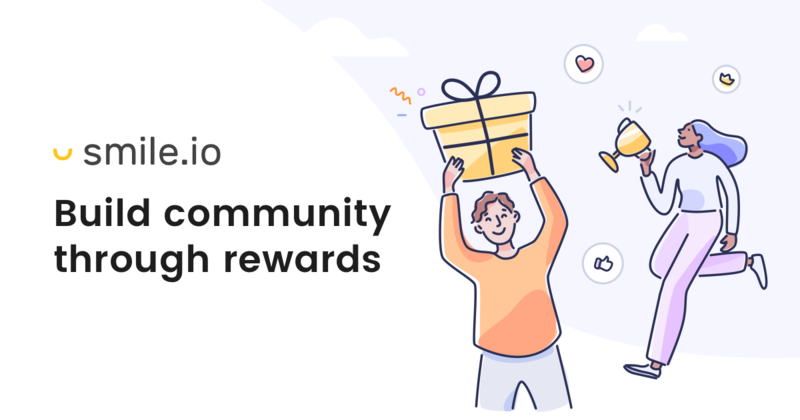 Smile.io is an excellent option to help you develop a loyalty program and referral incentives for your site if you don't want to go with a larger, more inclusive program like Yotpo. They offer very similar functionalities including rewards points accounts, referral incentives and VIP programs. All of these will allow you to capitalize on your top customers and strengthen those connections even further to keep them, and their friends, coming back for more. I'm sure you've seen those retargeting ads for items you've put into a shopping cart and they soon follow you around on your journey through the world wide web reminding you to get back there and complete the purchase. Well, if you wanted to hop on that very successful train, Consistent Cart is a great option to help you quickly start generating sales off all the customers who almost made it all the way. Those customers are not only interested in your brand and your products, but they already want to buy from you. Hesitation is always going to be an enemy of online sales and this is an excellent way to equip your business with additional ammunition. There are so many great options available out there that you should definitely take the time to explore, but it really depends on your resources. Chat tools are a great feature to increase conversions and provide another frictionless, less intimidating way for your customers to engage with your brand. This topic is probably going to be a stand alone blog article that I'll cover in the future in more detail because there is a lot to consider. In the mean time, a few programs you could begin your search with are Drift, LTVplus, and the possibility of using the Facebook Messenger tool in your marketing business plan. As an outdoors enthusiast and former collegiate athlete, a passion for exploration and success runs deep in her veins. Julie applies those passions to her love of digital marketing to innovate new strategies that exploit the opportunities, challenges and tools of our industry in her favor.